I never thought about the name why it is called pancake, until I put all the ingredients together. The ingredients are pretty much the same to bake a cake. The difference is that pancakes are cooking with a pan. That is all. Recently I watched a food show on TV, the host was actually beating the eggs separately for the pancake....I won't do that for my pancake, but that is also the same method to make cakes. Cake flour, baking powder, salt, milk, eggs, sugar, orange zest. Sorry I did not use the measure cups, I just eyeballed it . 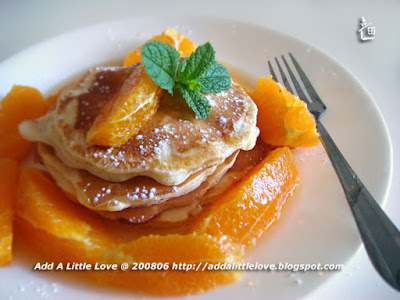 For fluffy pancakes, add a little bit more baking powder. The thick, and fluffy pancakes are my family favorite. Use medium high heat. Less than 1 minute each side. 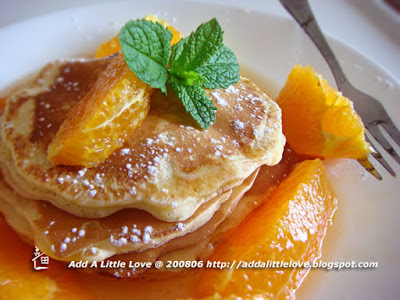 Serve with orange or some berries and syrup. What a lovely pancake! I like the colors. Organic food are always welcomed very much. You did pull it off. Really love your cook. BTW, try my own recipe. Mix 1/3 or half with cornmeal. It tastes wonderful. 1/3 or half cornmeal with flour...It is a very classic combination. 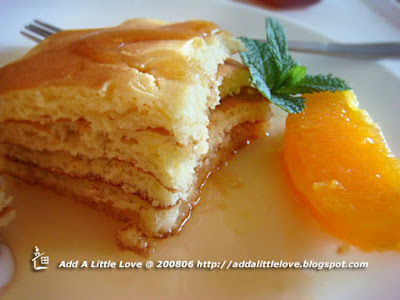 It not only brings up the taste, but also gives pancakes the nice golden yellow color. You must be a true food lover. 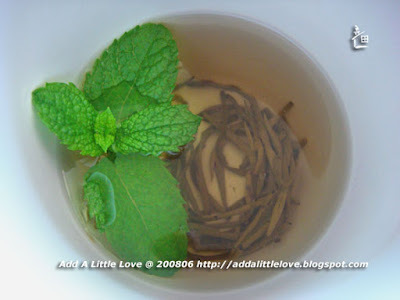 Yes, that is the actual Jasmine Tea Leaves. Great smell.